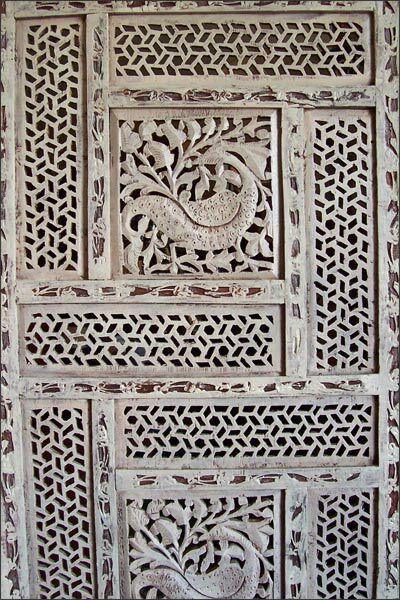 This Open Work Carved Wood Screen from East India has been Artfully Dry Brush Hand Painted in Taupe. An Ethnic Element as a Room Divider or to Place in the Corner of a Room. 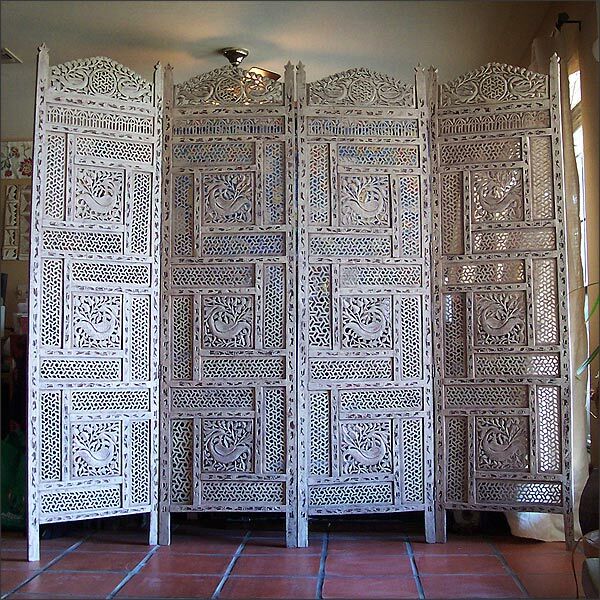 The Neutral Light Taupe Color not only sets this Screen apart from the Crowd of Orangey-Brown Screens on the Market, but Opens the Door for Use in a Lighter Colored Interior.